EARNING ON STEEMIT - Keep Your Eye on the Prize! 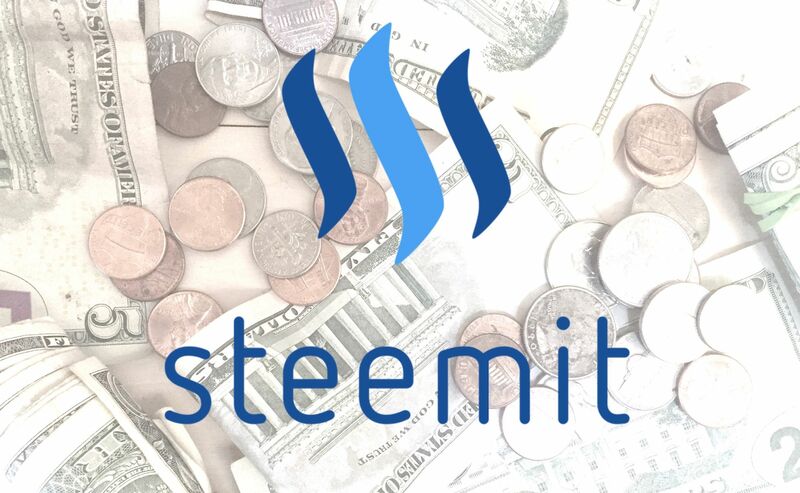 I've been seeing lots of posts lately from people frustrated with the trending page, authors who are fuming as they see posts making hundreds of dollars each regularly with sub-par content from those who don't appear to be contributing much to the community, but rather seeing Steemit as a get-rich-quick scheme. It is my opinion, that while there are undeniable challenges needing to be addressed in this ecosystem, for the most part, newbies here on Steemit shouldnt allow themselves to be sidetracked by these issues. Posts making hundreds of dollars needn't be the goal of most authors here. Rather it is the steady and consistent income through content-creation that is what is so innovative on Steemit. Along with content-creation, it is important understand the opportunity in earning curation rewards of greater significance once our accounts pass roughly 500 SP, and to know the larger the account, the larger the opportunity to earn in this way. So having an active Steemit account is about adding a little power to our accounts each day through posting and curating, and then benefiting from the compounding nature of the returns on what we are building. Furthermore, as this platform grows due to our participation and content, the value of Steem rises, and we will have found ourselves quietly accruing a potent crypto portfolio in a very consistent, low drama way. If you can add a few coins each day to your portfolio through posting about something you care about, you have truly discovered an investment hack that can create great wealth in the future. And it is the doing it each day, without fail, that makes it powerful in the long term. If you focus outwards on what others are earning, you can easily miss the boat and forget the personal opportunity FOR YOU, IN RELATION TO YOUR LIFE. I don't know of anywhere else that users, creatives and sharers can steadily build a crypto-portfolio with no investment other than their own creativity and generosity. If there are others gaming the system, I'm a firm believer that karma will catch up in one way or another. I want to see more of my artist friends with financial stability and residual income in the long term, and to me, I see no better opportunity than Steemit right now. A great write up. I just got verified and am quite overwhelmed with the posibilities that steemit offers. However i like your calm tone if i may say so and think you will be the first one here i follow. have a great adventure and don't stress - its fun! sure no pressure, only pleasure! I've found contests are a fun way to win SBDs and also a great way for the platform to generate interesting content. Win-win -- Steemit gets fun, interesting, moving, silly, captivating content, users gets ways to be rewarded for their creativity. In other words, entertainment. I also mention a few good contests in that announcement, perfect for people just getting started on the platform and OGs who want to be creative. I'm not sure newer users should worry too much about curation. Rewards from that are likely to be cents a week even with 500 SP. Better to give your vote to content you want to support anyway. I think some of the big earners do even better as minnows think they will gain something by voting for them. Support fellow minnows and make good comments where you can. A good comment can make a good amount. Of course bad comments can get you flagged. I think the main thing is to make Steemit fun for yourself. Follow people who share your interests and then there's always something you might like in your feed. I rarely even look at the trending page. Steemit is entirely what you make of it. This will be so much easier when official community tools emerge, but it can certainly be put into practice already. I agree. Make it fun. Steemit has serious long-form fiction writers, crypto investors, musicians, jokesters, poets...all sorts of different people producing all types of different content. I replied to @damp with a link to my contest, but there are soooo many with so many different themes that you can probably find something that fits your tastes. This post should be stickied somehow on the landing page of every Steemit users wallet. We’re all here making small amounts of money doing things we would have done anyway, for free. And it’s so new that it’s like we’re all in on this secret right before it takes off and becomes a part of mainstream culture, so we get to do things (like watch our favorite musicians perform songs by request!! I can’t believe I missed your D-Live gig the other day ::angry shrieking::) that no one else in the world can do. Agreed! Its fun to be an active participant in this experiment! I've been on here a month and I haven't earned but a few coins. However, I have never been paid for creative writing before. So I am stoked! Might not ever get rich except in spirit. That's OK. Thanks for sharing your post. Hi! Great attitude. Its a bit of a learning curve but you ARE earning! Do you know about buying Steem with your SBD and then powering up? I just looked at your account and saw youve got some SBD and Steem that are just sitting there. Unless you are in desperate need of those $ I would power them up into your SP and start growing your influence on the platform. Hope that is useful. Ignore if not :) And thanks for commenting! It's very useful! Thank you, Ben. Hey there @hope-k! Rich spirits are good, powering up is good too. Do you want to try again at my haiku contest? New round just opened! Alright! Voting with that new sliding scale - party time! Great sentiments. As early adopters of Steem, many of us are here because we’re enthralled with the concept and the potential, not necessarily the current content or functionality of the sites & apps. But that leaves us too focused on the system itself... i.e. the money. Most of our friends aren’t here yet. The musicians & artists we’d like to follow aren’t here yet (except you of course Ben!). The businesses and brands we’d like to interact with don’t have pages and online shops accepting Steem yet. So the traditional incentives to use social media aren’t in place yet, leaving only the non traditional incentive (Steem/money!) We all need to focus on using Steem as we would any other social networks, find our own purpose & joys, and enjoy using Steem just for using it. “How do I earn more Steem?” is the worst question anyone can ask. If everyone just did what they want to do and let the rewards take care of themselves, we’d all be a lot happier. And a lot of those “yets” will start turning to “finallys.” Our friends, family, interests & passions will all finally be here. The apps and sites will finally be as complete and feature rich as Facebook, Instagram & Twitter. And people will finally be interested in Steem whether they earn money or not. Wonderful. Thanks for these thoughts. I love connecting with the truly passionate generous people here. Steemit is like LA. It looks impossible from the outside but once you find your peeps, you fall in love. A user (new or otherwise) focus should be to create interesting and well-written content however as you say a new user needs to be highly focused on their own blog and creating relationships rather than becoming a crypto-millionaire in the next ten minutes off that meme they just posted. This is a good post Ben and, if I may, I’d like to add the importance of relevant commenting after having read the post rather than a cut and paste generic reply asking for an upvote or follow. I started here in June 2017 and simply wrote, sharing many different things, all of which either meant something to me or were on my mind as issues I wanted to share. I waited a long time for my vote slider and added a bit here and there each day to build my modest wallet and reputation score. It was not easy and I went through tough times of researching and writing a post only to achieve a few cents. It all adds up though. I have not had the ability to invest my own funds into the platform and so have built through content and engagement with others. Now I am enjoying engaging with some really great people both on the platform and in person at meet ups that I may never have met otherwise. The benefit of a few SBD here and there is also great and in the future may work well from a financial aspect. For me, someone who likes to write and engage with people, that platform is already paying me back. Yes the creation of community is such an important aspect! This is another area we can become "rich" in! I have been frustrated at times, with the lack of reward versus effort I’ve put in, just like most people I assume, however looking back now it’s been the interaction with people all over the world which has formed the large part of my enjoyment from the platform. So having an active Steemit account is about adding a little power to our accounts each day through posting and curating, and then benefiting from the compounding nature of the returns on what we are building. Exactly. Compounding can be very powerful over time. The Trending page might best just be ignored. Get rich quick scheme might be a bit of a misnomer. The whales and orcas who tend to dominate Trending are already rich. To them, it’s pocket change. I think that the Steem blockchain has immense long-term potential. Those “paltry” day to day earnings here that some complain about might well compound into life-changing wealth. Its funny how competition can blind people's sense of long term potential. Was a blogger for many years. Ive earned more on steemit in short term. Just gota persevere and stick to it. Artists have way more chances to earn on steemit. I have no talent, wish i could sing. Being an artist is tough in other areas. There are no easy roads to success! Great post @benleemusic! I learned in the short time I've been on this platform to "Keep calm and Steem on!" ;) It's so much fun and makes the "big" platforms like Facebook soooo pointless! Yep stay focussed and enjoy the journey. Perfectly said Ben... I keep on trying to say these to all the new talented people I keep on finding. By the way, I wrote to you on Discord, I have a little idea I would like to share with you. It's easy to drastically underestimate the power of patience and compounding! This goes for skills as well as money. Its impossible to predict what steemit and the crypto markets will look like in 5 years time, buy I can absolutely guarantee that if you practice creating content you love consistently for 5 years you'll get pretty bloody good at it! I'm willing to bet you didn't pick up a guitar in the hope that you'd earn 10 cents for every bar chord you learned then complained after a month that you weren't making any money and successful artists were gaming the system. It's far more likely that you made music because you enjoyed it and money came later. Good example with the guitar. Of course I never thought like that. I stayed focussed on the task at hand. Ambition is good. But it should always be married with real life action and attention to detail. This is fantastic advice. It took me a while to warm up to this platform and actually sign up, because I was turned off by how intense people seemed to be about big payouts and was worried I would get caught up in this. Thanks for the post; I plan to put it in my "re-read at dark steemit moments" folder. Yeah the last thing we need is to get caught in a trivial rat race for crypto. Wise words. Sometimes we can get caught up comparing ourselves with others and decide things aren't fair, but let's be perfectly honest, who wants to read about someone complaining about it? Stay true to yourself, keep your posting good quality and now and again you might get curated by one of the big curators who go around searching for good content. Even if you don't, a few coins is more than you'll get on any other social media site. I'm here a couple of days on steemit, and i love it. It keeps feeding me with new info and ideas. For now I'm more active in commenting posts than writing my own. And is short time I had expirience with writing a comment ,and 3 h later a noticed a guy rewrite my comment and built a whole post around it (There is a small chance that he did not do it beacuse of my comment but not much likley ). He was rewarded with 60 $ in 2h, I got a bit pissed off at the moment. But right know I figured out that this is a great platform for me. I have the ideas that might work out, I just need to work on myself to bring those ideas out. Thanks for the post. Sorry to hear that. Stick with it, you have the right attitude. Sure, it is fun to post stuff and build up your content and your account. But it is a bit disheartening to still be earning only cents on content you work hard on to see some crap get big dollars. Posting every day becomes a bit of a chore if you are not seeing the returns. 3 months, 600 followers, averaging about 60 cents a post. Not a great return for several hours a day invested. Even centerlink and ausbit are hit and miss now, so a few posts I was pleased with are at 10cents. Unless you are playing the bots or have a whale, you are not making much here despite the work you put in, and that is the big gripe of the "trending"list which measure only upvote value not actual content or engagement. But there are some great people to meet and some fabulous content to entertain, so, I will keep it up for a while and see where it leads. At least for me I have to take money out of the equation. And make sure I am posting based on in Personally uplifting me. I have been reminded Money comes from EVERYWHERE lately and focus on the joy of creating rather than Anything else. You gotta be both nowadays! Very well said. Every Newbie goes through some frustrating times. If we remain dedicated to creating great content, engaging comments, and supporting others who do the same by upvoting and resteeming it advances us all in the community. For Newbies who are struggling I am part of a group called the Newbie Resteem Initiative that helps by answering any questions, resteeming content, and many other ways. they should check out the tag #newbiwresteemday and feel free to ask anyone involved any questions you might have. Even if you aren't new you could join in as one that helps support the Newbies. Thanks for letting people know about that. Yeah, I've noticed that some people are niggling about those kinds of things. I find the whole trending thing both bamboozling as well as not quite knowing how the algorithms work with it, but whilst it'd be great to learn more about all these things and how they work and connect, my main concern is sharing my creativity here and seeing how things grow in more ways than just one (financial), even though that is an important factor for an artist. Thanks for the post. Resteemed. Thanks Melissa! Well done on taking to this so quickly and organically! You are awesome. Absolutely @benleemusic!!! Slow simmer makes the best broth. Long Term is the Key. Actually to anything in life. It's like "Relationships"... we can't just like someone (like on FB)... it takes time. Just like it takes time to build a follower base that will support and stick with you when you are down and out. We are aligned in our vision. Totally agree. I don't earn much, but just plan on chipping away slowly. If I reach just two people when posting about what I believe in, and they ripple out in a similar fashion then your view gets heard. It's not really important who gets rewarded. It's nice but your ultimate drive has to be building awareness. Well that's just my 2cents. Thats an important thing to remember. The quality of the connections. As a newbie It is overwhelming, and I like to think that even if not making much one high quality post does not expire it stays there to support your feed and work. So far I prefer to ignore numbers (except for reputation) and trust. Just a few months ago, most were making $0.00 - $0.05 per post when steem was at 6 cents. Even making $1 felt like a huge accomplishment. Just wait till steem passes the $100 mark.